The beauty of Mount Rose Summit masks its deadly nature and its position as one of the deadliest roads in the United States. 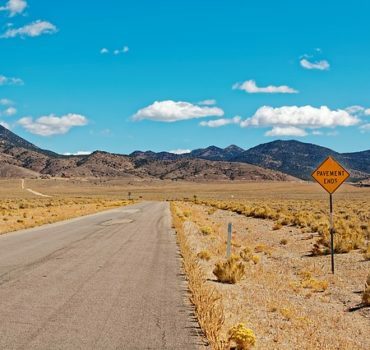 This 25-mile long route between Reno and Lake Tahoe is known for unpredictable weather that in some seasons delivers more than 400 inches of snow on the mountain. The combination of bad weather, poor road maintenance, and inattentive drivers make this stretch of road a particularly dangerous route during the fall, winter, and spring. The Mt. Rose Highway features many serpentine twists, sharp turns, and sheer drop-offs that are hazardous even on clear days when there is no snow or ice on the road. Nevada law enforcement agencies have recorded more than 300 accidents on the Mt. Rose Highway over the past three years. This is nearly 1/6th of all winter driving accidents in Nevada that occur because of unsafe driving behaviors. These include driving too fast for conditions, ice, snow, and other weather conditions. The risks are significant and this past winter the Nevada Department of Transportation implemented chain restrictions on the route. The rules require all vehicles without four-wheel or all-wheel drive to have chains when crossing the chain control lines. The rules do not apply to vehicles with four-wheel or all-wheel drive, however, it is advised that even these vehicles use chains when traveling the route. Law enforcement agencies are also increasing their monitoring and ticketing efforts along the route to ensure drivers obey posted speed limits, wear seatbelts, and are not engaging in dangerous driving behaviors. Drivers should pay close attention to weather reports during the winter months. These can change quickly in higher elevations and motorists should forego unnecessary travel when weather conditions are questionable. When traveling, motorists should never leave home without informing a friend or loved one where they are heading and when they expect to arrive at their destination. Motorists should also ensure their vehicle is prepared for winter trips. Brake systems and vehicle tires should be inspected and repaired or replaced as necessary. Similarly, motorists should inspect windshield wipers and fill wiper fluid and coolant reservoirs. It is also advisable to carry an emergency car kit that includes a first-aid kit, ice scraper/snow brush, road flares, jumper cables, water/snacks, and warm clothing.